The JSE has made pioneering forays in the market through listing a range of commodity derivatives, the latest being a cash-settled merino wool futures contract. This is yet another price risk management tool that allows market participants to hedge their wool price ahead of time. The contract allows wool growers with a mechanism to limit the risks associated specifically with the price of wool. There are also many other role players subjected to price risk in the wool industry, including buyers and processors who can also benefit from the contract. In addition to the key groups of participants, the contract is open to speculators, who bring in much needed liquidity into the market. This enables market participants an opportunity to trade in and out of the market effectively. This contract gives an opportunity to hedgers and speculators to participate as well as allowing people not necessarily involved in the wool industry an opportunity to acquire insight into how well wool is performing. The difference between hedging and speculating can easily be identified. The participant who hedges is able to link back their futures position to their exposure of the underlying physical wool, e.g. a wool grower that produces 500 kg and has 5 futures contracts is hedging 500 kg of his/her wool. Hedging replaces an unknown price with a known price, removing uncertainty about the future price of a commodity. A speculator on the other hand, is a participant who does not have a link to the underlying physical product. Speculator starts without price exposure, buys or sells contracts, and takes on price exposure. It is important for participants to be mindful of the risks associated with speculating. One of the big challenges experienced by wool growers is that they cannot accurately envisage the specific type of wool they will produce. Characteristics that determine the quality of wool such as fibre diameter, staple strength and microns will vary with some subjective faults such as colour and type. For this reason, the JSE had to shy away from the challenges associated with physical delivery for now and instead opted for an index. In essence the JSE contract is an indicator traded merino wool futures contract and not a contract for physical delivery. The JSE contract is cash settled; it is based on an index which includes a basket of different wools as captured on an index basis and created by Cape Wools SA. Perhaps a common question that is frequently asked is: “How is the JSE contract going to change the way we currently do business in the wool market?” Well, it is business as usual in many respects, except for the added benefit of bringing certainly to your cash flow. When the marketing season for wool opened in the second week of August 2017, prices jumped by nearly 20% from last close. It could have been a drop of the same magnitude, and these sporadic fluctuations in prices may be one of the reasons that forced many wool producers in SA out of business, judging from the nearly 100 million kgs of wool that was once produced here in our country. 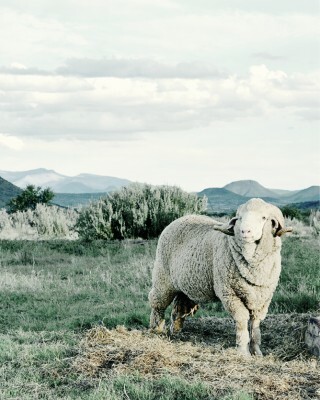 The JSE wool contract is here to fill that void by providing certainty and forward planning to the business operation because market participants are now able to lock in a favourable price well ahead of physical delivery of the wool. Physical delivery of the wool will continue to take place at Cape Wools SA auctions as is currently the case. However when hedging position on the JSE expires, instead of getting the actual wool, you will receive the cash equivalent based on the merino wool indicator. When the contract was initially launched, the nominal size of the contract was 1 000 kg. Following further consultation with Cape Wools SA and key stakeholders in the wool industry, the JSE decided to reduce the nominal contract size from 1 000 kg to 100 kg. The rationale behind this change is to accommodate small players to partake. Although the market is considerably commercial, there are communal farmers who are small participants and who do not have the capacity to produce large volumes of wool. The exchange looks forward to working closely with the wool industry to build a liquid market for the new contract. To focus on the liquidity of the contract, four hedging months are available for trading namely March, June, September and December. 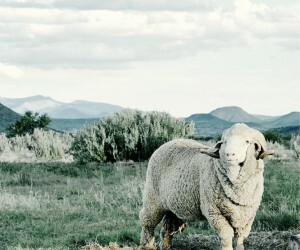 As the market matures and liquidity picks up, the JSE will be happy to add the other months to the mix and thereby provide continuous hedging to the SA wool industry. Important to note is that hedging is not the only motivation for trading derivative instruments on the exchange. This could also help participants in the wool market to obtain better financing terms with banks. For example, banks would often offer more favourable financing terms to those wool growers, buyers and processors that have reduced their market risks through hedging activities. This could also lead to further support investments in increased production. Finally, clients can get access to this product by signing up with a JSE approved commodities broker. With a registered client account open, clients will be protected by the rules and regulations of the JSE. For more details on the list of JSE brokers and their contract details, please visit our webpage https://www.jse.co.za/trade/derivative-market/commodity-derivatives/wool or email commodities@jse.co.za.